Reuters reports that a plane crash in South Sudan has left 10 people dead. The plane reportedly crashed a few minutes after take off from the Juba airport. It is unclear at this time what caused the crashed but local media report that parts of the plane were scattered along the banks of the White Nile River. 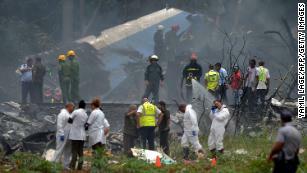 The aircraft was said to be a cargo plane and ten people on board are reportedly dead and two of the passengers survived. This recent air mishap comes just a few days after a Russian bound aircraft crashed in Sinai with no survivors.